Hoor Al Qasimi, President and Director of Sharjah Art Foundation, is a practising artist who received her BFA from the Slade School of Fine Art, London (2002), a Diploma in Painting from the Royal Academy of Arts, London (2005) and an MA in Curating Contemporary Art from the Royal College of Art, London (2008). 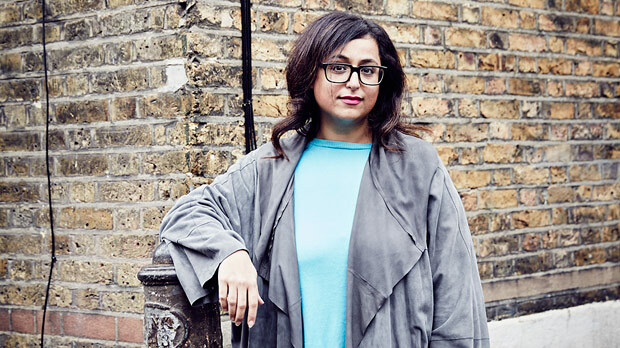 In 2003, she was appointed curator of Sharjah Biennial 6 and has since continued as the Biennial Director. Al Qasimi serves on the Board of Directors for MoMA PS1, New York; KW Institute for Contemporary Art, Berlin; International Biennial Association, Gwangju; Ashkal Alwan, Beirut and Darat Al Funun, Amman. She is Chair of the Advisory Board for the College of Art and Design, University of Sharjah; member of the Advisory Board for Khoj International Artists' Association, New Delhi, and former member of the Advisory Board at Ullens Center for Contemporary Art, Beijing (2013-2016). She has served on the juries and prize panels for the Maria Lassnig Prize (2017), Mediacity Seoul Prize (2016), Hepworth Wakefield Prize for Sculpture (2016), Prince Claus Awards (2016), Berlin International Film Festival - Berlinale Shorts (2016), Videobrasil (2015), Dubai International Film Festival (2014) and Benesse Prize (2013). Recent curatorial projects include major retrospectives Yayoi Kusama: Dot Obsessions (2016-2017), Robert Breer: Time Flies (2016-2017), Simone Fattal (2016) and Farideh Lashai (2016) as well as 1980-Today: Exhibitions in the United Arab Emirates, UAE Pavilion, 56th Venice Biennale (2015); Rasheed Araeen: Before and After Minimalism (2014) and Susan Hefuna: Another Place (2014). Al Qasimi was co-curator for Joana Hadjithomas and Khalil Joreige: Two Suns in a Sunset (2016), exhibited not only in Sharjah but also at Jeu de Paume, Paris; Haus der Kunst, Munich and IVAM, Valencia (forthcoming). She co-curated the major survey shows When Art Becomes Liberty: The Egyptian Surrealists (1938-1965) (2016) and The Khartoum School: The Making of the Modem Art Movement in Sudan (1945-Present) (2016-2017). National Pavilion of the UAE, 56th Venice Biennale 2015, curated by Hoor Al Qasimi. Commissioner: The Salama bint Hamdan Al Nahyan Foundation. UiU Special Feature. The Egyptian Surrealists (1938-1965), and their relationship with their international counterparts. Palace of Arts, Cairo, 2016. Curated by Hoor Al Qasimi and Dr Salah M. Hassan. Review by Lucrezia Cippitelli. Bait Al Serkal, Sharjah, UAE, March - June 2014, curator: Hoor Al Qasimi. Essay about her work, on the spaces we seek and the places we make to be able to face others, and ourselves. By Bettina Mathes. Exhibitions, programmes, projects in Sharjah, Beirut, Dakar, Ramallah, Istanbul.